Nigeria's foreign debt stood at 25.27 billion US dollars as at 31st Dec., 2018, the National Bureau of Statistics (NBS) has said. In its “Nigerian Domestic and Foreign Debt data” for fourth quarter, 2018 posted on its website, the bureau said further dis-aggregation of country's foreign debt showed that 11.01 billion dollars of the debt was multilateral. This shows that the country’s debt profile has grown to level that draws concern from perceptible economic experts, after it got itself out of the debttrap by liquidating over $28 foreign debt overhang through a negotiated debt reprieve programme with Paris and London clubs of creditors under former President Olusegun Obasanjo regime in 2006. Though the Federal Government through the Vice President Yemi Osinabjo recently dismissed concerns about the nation’s growing debt profile, the International Monetary Fund (IMF) on Wednesday raised concern over the risk of rollovers for Nigerian debt and potential challenge in meeting the needs for refinancing. 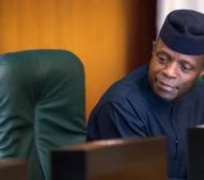 Osinbajo said that Nigeria has one of the debt to GDP ratio in the world, but he did not mention the comparative nations and how Nigeria compares with those countries in productivity. According to NBS report, 34.63 million dollars was bilateral from Agence Francaise de Development (AFD) and another 2.75 billion dollars bilateral from the Chinese Exim Bank, Japanese International Cooperation Agency, KFW Development Bank and India. It said Edo was the second highest debtot-state, accounting for 1.09 per cent, followed by Kaduna (0.90 per cent) and Cross River with 0.75 per cent.